Joe Parks was an inventor, sculptor, horticulturalist, computer pioneer, soldier, legislator, train buff, consultant, teacher, philanthropist, entrepreneur, woodworker, bibliophile, real estate investor, Arctic traveler, class president, husband, father, and grandfather. 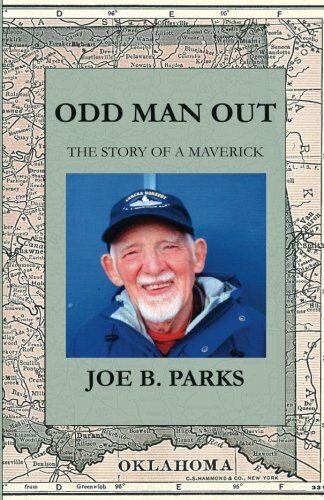 Odd Man Out includes stories of his Cherokee grandparents, growing up in small-town Oklahoma, foiling communist organizers in the 1930’s, serving in France during WWII, his post-war career in Washington, D.C., his happy “retirement” in Dover, New Hampshire with his wife, and his lifetime affliction with the “disease” called gardening. Parks’ wide-ranging interests and descriptions of his experiences of 94 years make for a great read.